Kenya is the land of unlimited possibilities. It is ranked the 4th largest economy in Sub-Saharan Africa with a GDP of USD 60 billion. The World Economic Forum’s country competitiveness report ranks Kenya number one (1) in Africa in quality of human capital and availability of research and innovation. Kenya has one of the highest rate of internet access in the continent, with 72% (approximately 32 Million) of its population having internet access making it ideal for investment on internet driven and knowledge economy. Kenya has the second largest population within the EAC at 44.2 million and is growing at a rate of 2.7% per annum. The country has a rising middle class with increasing urbanization, which contributes to an increase in consumer demand for high-value goods and services. This trend is forecasted to continue, with 50% of the population expected to live in urban areas by 2050. The country’s income per capita has also increased at a Compound Annual Growth Rate (CAGR) of 2 % over the past ten years. Kenya is the dominant economy in the East Africa Community (EAC), contributing approximately 50% of the region’s GDP. Furthermore, Kenya is centrally located within the EAC and provides investors access to a wider consumer market of up to 400m people in the EAC/COMESA region. Kenya’s investment climate is the strongest in the EAC, with Foreign Director Investment (FDI) flowing in from emerging and developed markets and a high number of multinational companies with regional and continent-wide presence. Having their headquarters in the country. 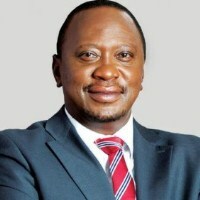 Kenya is firmly interconnected through a network of roads, railways, ports, airports, waterways, and telecommunications. For example, Kenya‘s Jomo Kenyatta International Airport and Mombasa port are the second busiest in Africa. Kenya is a member of trade arrangements and a beneficiary of trade promotion schemes that include Africa Growth and Opportunity Act (AGOA), World Trade Organization, and EAC-EU Trade Agreement. It is also a member of East Africa Community (EAC), Common Market for Eastern and Southern Africa (COMESA) & Southern Africa Development Cooperation (SADC) regional bloc that will soon be a Tripartite Free Trade Area (FTA) cooperation creating a potential market of over 600million people. Kenya‘s Financial Sector development continues its economic growth through mobilization of large savings to finance investment needs. In the 2015/16 World Economic Forum Global Report, Kenya ranked number 42 in the world out of 140 countries for financial market development. In 2015, the country was ranked 1st in the world for leveraging technology to drive inclusion by Brookings Financial and Digital Inclusion project (FDIP). Kenya has an extensive and relatively well-developed banking industry serving the domestic, regional and international markets. There are 44 banks registered in Kenya. They include global names such as Barclays, Citi Bank, and Standard Chartered Bank. Kenya is currently ranked 28 out of 151 countries in ease of accessing credit in the World Bank Ease of Doing Business Reports 2016. Kenya has the most developed stock market in the Eastern and Central African region,i.e., the Nairobi Stock Exchange (NSE) with a market capitalization of about Ksh. 1.992 trillion(approximately USD 19.48 billion). Kenya is a position to improve its power generation capacity through a focus on geothermal energy and other green energy and cost-effective energy sources. The Country’s Second Medium Term Plan (2013-2017) has targeted generation of 5,000+MW. To date, 615MW of power have been added to the national grid and has significantly reduced the cost of power. An additional 300MW of the power of wind is expected to be added to the national grid in the next one year with the ongoing works at Lake Turkana wind project. These resources are expected to increase our clean energy mix cementing Kenya’s position as world leader in renewable energy. These, and other ongoing power projects, will ensure adequate power supplies and significantly reduce the cost of doing business.